As MLB season draws near, we highlight a Baseball legend in today’s Flashback Friday. 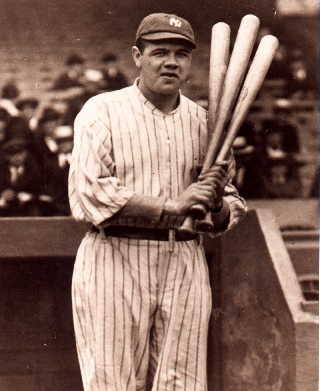 George Herman Ruth, Jr., more commonly known as Babe Ruth, played for the Boston Red Sox, New York Yankees and the Boston Braves. “The Bambino” was another nickname of his. He played for 22 seasons in MLB starting in 1914 till 1935. Upon his retirement, he held a total of 56 major league records at the time including 714 homeruns! Not to mention 7-time World Series champion! Wow!! The Baseball Hall of Fame was inaugurated in 1936 and Babe Ruth was elected as one of its first 5 inductees. The Sporting News named him the Greatest baseball player of all time! Sports Illustrated also named him the Greatest baseball player of the 20th Century! What an honor, indeed! Need your baseball fix? How about a game of Dinger Derby or Thundercage in FunGoPlay? Click here to play now! Posted by fungoplay on March 2, 2012 in General.